Now that I'm trying to narrow my bird stamp collection to raptors, I was happy to receive a Golden Eagle on cover from the USA. 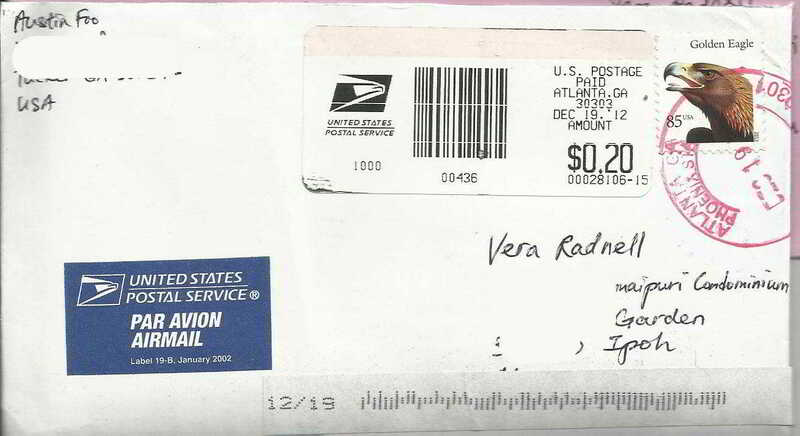 The stamp value is for local use and the sender used a 20c label to make the correct value for posting to Malaysia. 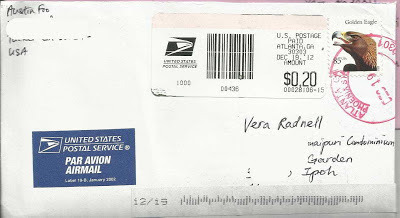 Postmarked from Atlanta Georgia at Phoenix Station.